Runs WideA rating of 1 means too narrow. A rating of 3 means too wide. A rating of 2 means normal width. This items average rating is 1.5. Rich, dark leather in an easy-going pull-on Wellington style. Speaking of easy-going, the Vitalize comfort system cushions and supports while you work the ranch…absorbing shock for energy-returning comfort and giving you a stable step. Order your Wellington Boots today! 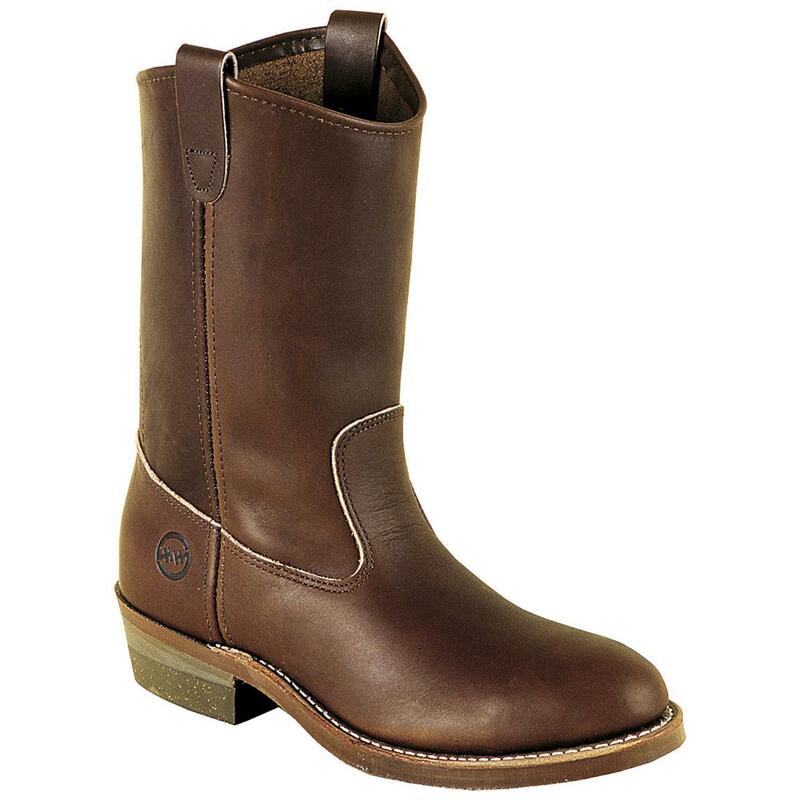 Double-H Mens Domestic Ranch Wellington Boots is rated 4.5 out of 5 by 2. Rated 4 out of 5 by Lou B from Very Narrow Boot Only reason that I did not give a 5 is that they are made very narrow. Even the EEs were too narrow for my foot. Otherwise, very well made and off course, SG's impeccable return process. Gonna try another brand and try to find a boot that is not so narrow. Rated 5 out of 5 by Kerry83 from Great Price! Very comfortable and easy to break-in. These are the only boots I wear. Runs WideA rating of 1 means too narrow. A rating of 3 means too wide. A rating of 2 means normal width. This items average rating is 1.0. Runs WideA rating of 1 means too narrow. A rating of 3 means too wide. A rating of 2 means normal width. This items average rating is 2.5.